Royal Crown Construction is a premiere concrete installation company in Mississauga.we guide you at every step of the installation project. right from the selection to the completion of job. Just tell us what is your need and what actually you expect,leave the rest on us. 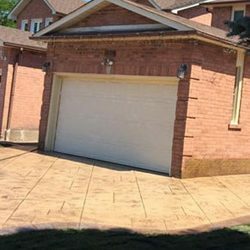 With stamped and patterned decorative concrete, we offer unique designs that are tailored to meet your needs.We are serving the entire Ontario province and its surroundings.